Oh zucchini you wonderful vegetable (well actually, fruit!). What yummy opportunities you bring to the plate. Did you know that zucchini (or courgette if you like) can grow to nearly a meter in length? That’s crazy. There are so many ways to eat zucchini. You can grill it, pickle it, barbeque it or eat it raw like I decided to do today. Lately, I have really been enjoying eating zucchini in the form of ‘pasta’. It’s quick, delicious and easy to make. I use a spiralizer which works a charm in creating the pasta. There are so many different types of zucchini pasta sauces that I suggest you try. 1 stalk of celery, finely diced. to top: Fresh basil, nutritional yeast, whatever you wish! 1. Cook chicken mince in a pan over medium to high heat for about 5 minutes or until brown. 3. If using fresh tomatoes heat them now in a separate pan for about 10 minutes, until reduced to a sauce then add to the chicken and vegetables. 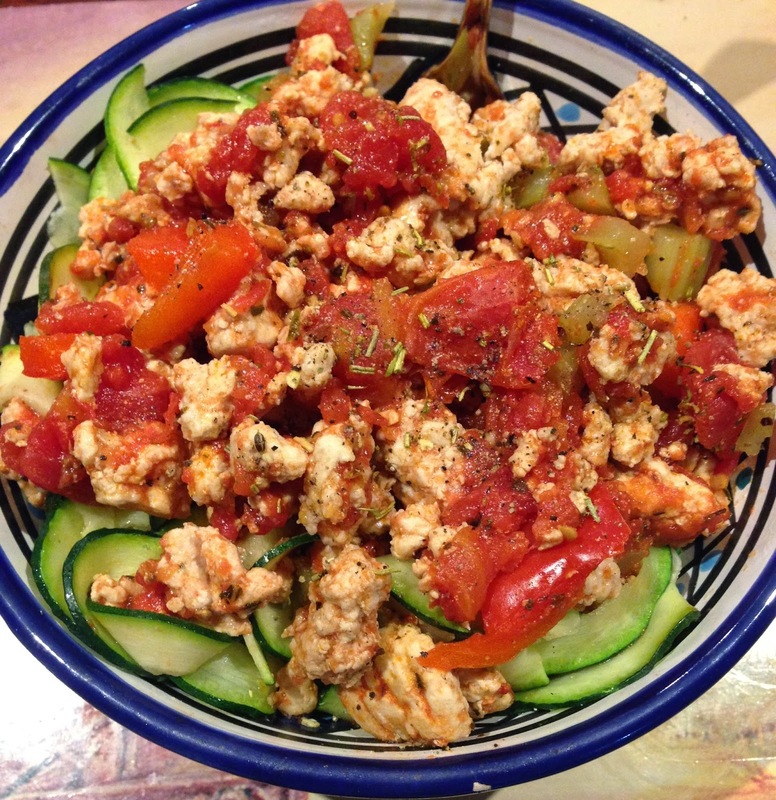 If using canned tomatoes then drain the liquid and add to the chicken and vegetables now. 4. Season with basil, oregano and pepper and turn to a low heat to simmer. 5. 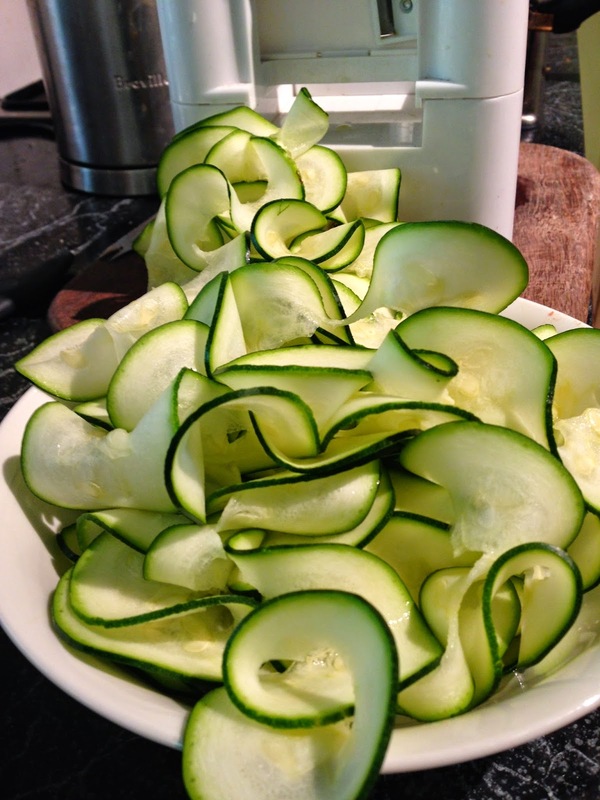 Now, while your sauce is cooking, prepare the zucchini’s by chopping off the ends and letting the spiralizer do its work. You may need to break up some or the spirals so that you can manage to eat it. 7. Top with fresh basil and nutritional yeast (or cheese) and voilà a tried and tested delicious meal.